The Massachusetts Bay Commuter Railroad Co. (MBCR) launched the “Conductor Companion” pilot program. 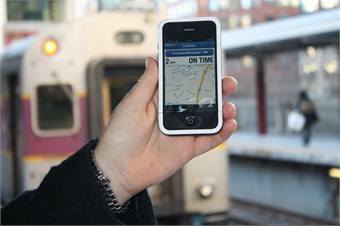 MBCR developed the concept for this unique mobile device application, which will allow conductors on the MBTA commuter rail system to receive real-time information about service for the first time. MBCR, which fully funded the “Conductor Companion” program, will provide 24 conductors (12 working on service traveling to and from North Station and 12 working trains traveling to and from South Station) with specialized mobile devices (modified iPhones) that are programmed with MBCR’s “Conductor Companion” application. This unique technology, developed by Massachusetts based mobile firm Raizlabs, will feed real-time service information into the palm of a conductor’s hand as the application’s satellite function will show the speed, exact location and track assignment of every train on the commuter rail system. The pilot program, which will run for 90 days, will allow both conductors and riders to provide feedback to MBCR about their experience with the specialized devices and application. MBCR intends to unveil “Conductor Companion” for more than 200 other conductors later in the year. The “Conductor Companion” was designed to comply with Federal Railroad Administration (FRA) regulations and MBTA policies that prohibit the use of mobile telecommunication (cell phone, text, email) during work shifts by personnel who work in safety sensitive positions while ensuring the ability of conductors to access important information about the service. All Conductor Companion devices are designed without traditional cellular, text message and email functions. Emergency communication (911) is the only available outbound communication function on each device. 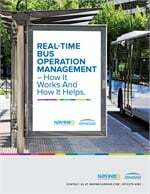 In addition to the unique real-time “Conductor Companion” application, the device also stores FRA regulations, operating procedure manuals, and other directives. These documents, which conductors must carry with them on all train service assignments under federal rules, typically are stored in binders that contain several hundred pages.